Regardless of what the groundhog says, spring is right around the corner and it’s time to think about spring weed control. 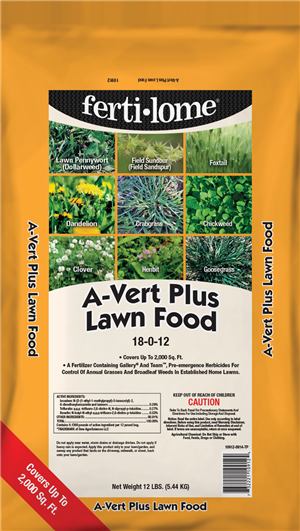 With the mild winter, we’ve had, it’s time to apply pre-emergent for your yard. You have about a six-week window to apply pre-emergents, from the first of February to the middle of March. There are three factors that will determine when a seed will germinate: soil temperature, moisture, and sunlight. The pre-emergent must be applied and active BEFORE that magic moment of germination occurs. Hi-Yield Turf & Ornamental Weed and Grass Stopper – Contain dimension pre-emergent, which provides superior control of crabgrass as well as control or suppression of other listed weeds when applied before they germinate. It also provides post-emergent control of crabgrass only and is effective on crabgrass up to four weeks after it has germinated and emerged. Do not apply this product later than four weeks after crabgrass has germinated. The12# bag covers 3,000 sq ft and the 35# bag that covers 10,000 square feet. A-Vert Plus Lawn Food 18-0-12 – Contains Gallery and Team, pre-emergent herbicides for control of annual grasses and broadleaf weeds in established home lawns. 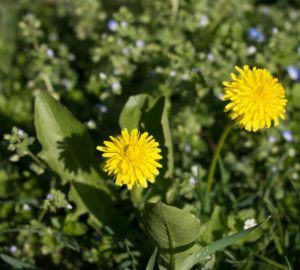 Apply only twice per year for effective dandelion and crabgrass control. A 12lb bag covers up to 2,000 square feet. 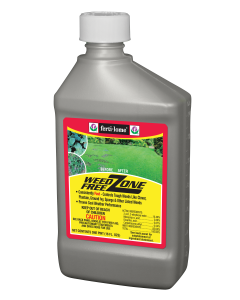 Weed Free Zone – Controls over 80 of the toughest-to-control broadleaf weeds including Clover, Ground Ivy, Spurge, Chickweed, Dandelion, Henbit, Oxalis, Poison Ivy, Purslane, Shepherds Purse, Thistle, Virginia Buttonweed, Wild Onion and many others listed on the label. Formulated for cooler weather, it’s a great first application of the season pre-emergent. Corn Gluten Meal – An all natural option for weed control is corn gluten meal. It is available in both granulated and powder form and it is applied at a rate of 20 pounds per 1,000 square feet. The key to success with these products is to apply the correct amount to your lawn. Follow the label directions and know the square footage of your lawn. This entry was posted on Wednesday, January 30th, 2019 at 8:38 am	and is filed under Garden, News & Updates. You can follow any responses to this entry through the RSS 2.0 feed. Both comments and pings are currently closed.